Friday line-up: Bite the Pillow, The Jags, Punishment of Luxury, Doll by Doll, The Cure, Wilko Johnson, Motorhead, The Tourists, The Police. Friday was the “new wave” day. I watched all of the bands from Punilux onwards. Highlights were The Cure who impressed me even though the only song I had heard before was “Killing an Arab”, and Wilko and Motorhead, both acts going down a storm with the crowd, who preferred their rock heavier and more traditional. The Police were riding on the crest of a wave of success, and were amazing, Sting had the crowd in the palm of his hand, and the entire field sang along to the hits. It was great to witness a band at their peak. Inner Circle’s reggae rhythms went down well. Scorpions were great (I really liked “Loving You Sunday Morning” at the time), but we were disappointed that we weren’t seeing Lizzy who had become a Reading favourite and were massive at the time. Sunday line-up: The Cobbers; Terra Nova; Speedometers; Zaine Griff; Wild Horses; The Members; Molly Hatchett; Climax Blues Band; Nils Lofgren; Peter Gabriel; Whitesnake. Sunday highlights for me were The Members who were in the charts with “Sounds of the Suburbs” and got a mixed reaction from the crowds with some people liking them, and others lobbing cans, and Peter Gabriel who started with “Biko” and played classic solo tracks like “Moribund The Burgermeister”, “Solsbury Hill” and “Here Comes The Flood”. Phil Collins joined Gabriel for the end of his set for “The Lamb Lies Down On Broadway”. Whitesnake closed the evening and were worthy headliners (although they weren’t billed as so, with Peter Gabriel and non-showers The Ramones having shared top billing in the pre-festival publicity). They started with an amazing new song “Walking in the Shadow of the Blues” which set the tone for the evening. Ian Paice had just joined on drums and Whitesnake now had three former Purple members (Coverdale, Lord and Paice). Whitesnake setlist: Walking In The Shadow Of The Blues; Ain’t No Love In The Heart Of The City; Steal Away; Belgian Tom’s Hat Trick; Mistreated; Soldier Of Fortune; Love Hunter; Breakdown; Whitesnake Boogie. An enjoyable Reading weekend, if not one of the strongest line-ups. 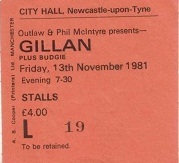 Gillan were to visit Newcastle City Hall for the last time on 30th October 1982. 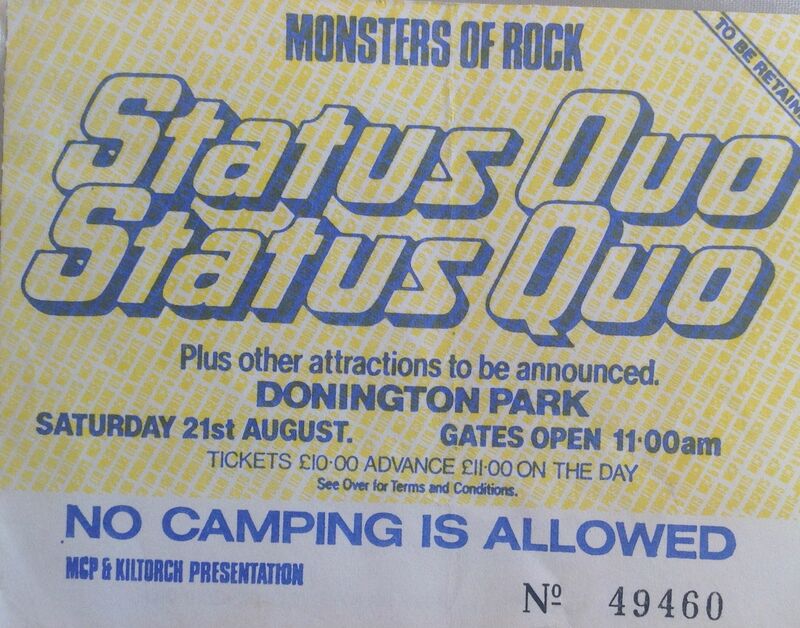 I’d seen the band earlier in the year at the Donington Monsters of Rock bonanza, where they took the second spot on a strong rock bill headlined by Status Quo. 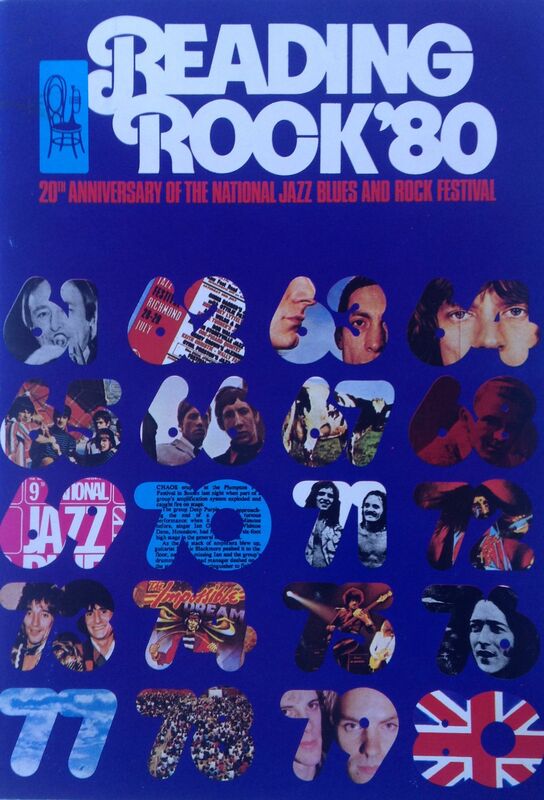 Gillan’s set at Donington was: What’s The Matter; Bluesy Blue Sea; Black Night; No Laughing In Heaven; Trouble; Born To Kill; M.A.D. (Mutually Assured Destruction); Living For The City; Vengeance; Bite The Bullet; No Easy Way; New Orleans; Smoke On The Water. 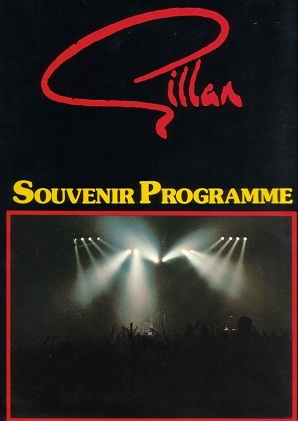 The 1982 Gillan tour was to promote the Magic album, which was to be the band’s last. 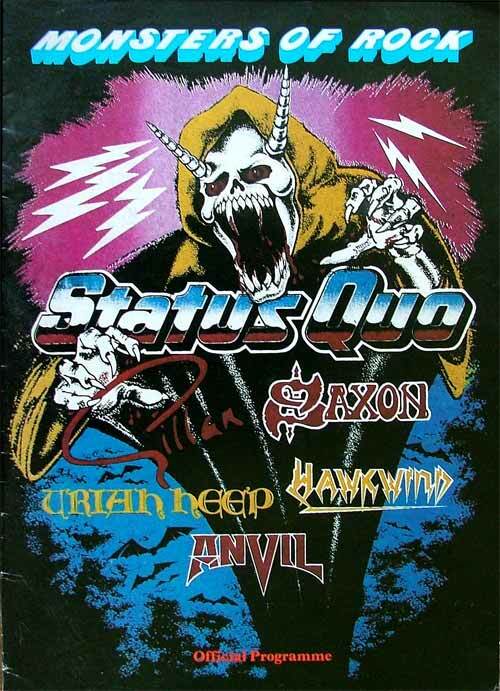 Support came from upcoming NWOBHM band Spider, who were much more boogie than heavy metal, and were often compared to Status Quo. Gillan split shortly after this tour, when Ian Gillan took the suprising step of joining Black Sabbath as vocalist. Looking back on these concert experiences over the last few days has made me realise just how much fun I had at Gillan gigs. In fact I have probably seen them just as many times as I have seen Deep Purple, albeit within a much more concentrated period of 5 years. 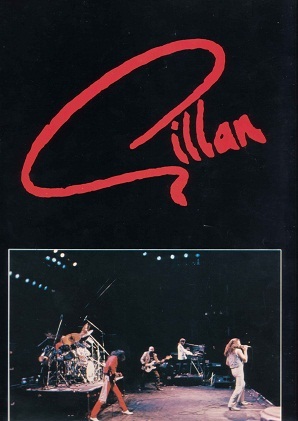 Gillan were, for a few short years in the late 70s and early 80s, a really credible and great rock band, who managed to blend the traditions of classic rock ala Purple, with the spirit of NWOBHM, and a sprinkling of new wave in the form of Bernie Torme. They never took themselves too seriously, and were a collection of five strong musicians and individuals. Reflecting on a band for a few days, and in Gillan’s case it has been a week, usually leaves me with some unfinished business to follow up. This often involves promising myself I will try to see the band again, which for Gillan is not possible (although I do look forward to the next time Purple play in the UK). In Gillan’s case I realise that I only have one of their albums, Future Shock, so I have promised myself that I will look for a copy of Glory Road (I am watching a copy on ebay which is currently at 99p 🙂 ). 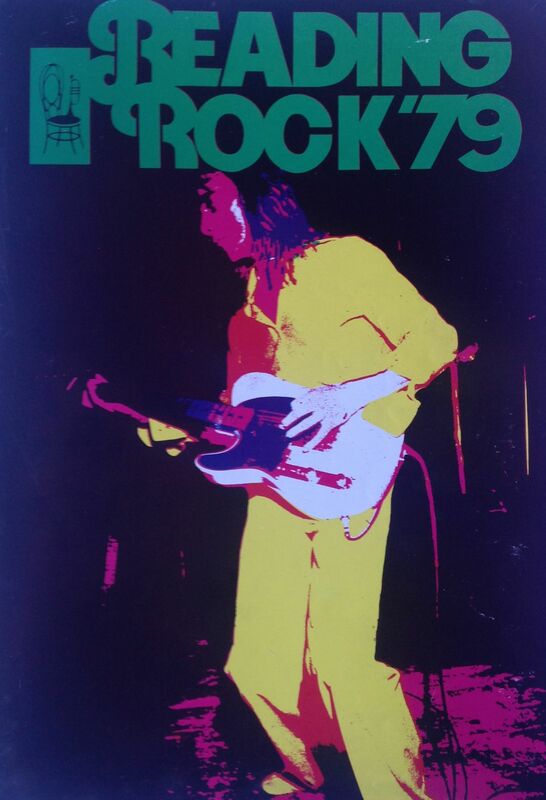 Anyway, I have enjoyed writing about Gillan, and refecting on the fine nights of rock I enjoyed with them. Time to move on to another band tomorrow. 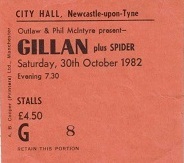 Gillan were back in Newcastle to play at the City Hall in the Spring of 1981. 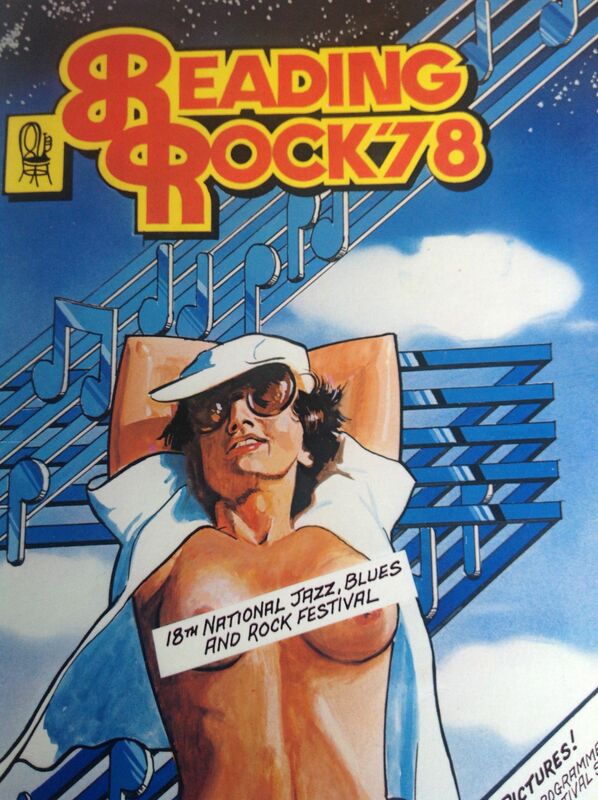 They were now touring twice a year, and to be honest they were perhaps playing just a little too much. 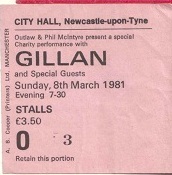 Still, I knew a Gillan gig would always be good fun, so I continued to support them and went along to every show they played in Newcastle. This time they were touring in support Future Shock, which was their third and most successful album, reaching number 2 in the UK album chart. Future Shock contained their cover version of the old song New Orleans, which was to become a live favourite, and hit the charts around the time of this tour. Gillan had already hit the charts with a rather tongue in cheek cover of Elvis’ Trouble, and New Orleans followed the same formula. 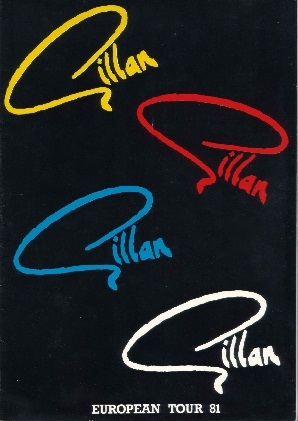 In fact Gillan had quite a few chart hits at this time, resulting in frequent appearances on Top Of The Pops. Gillan appearances on Top of the Pops opened up a new more mainstream audience for the band, and were pretty hammed up performances. 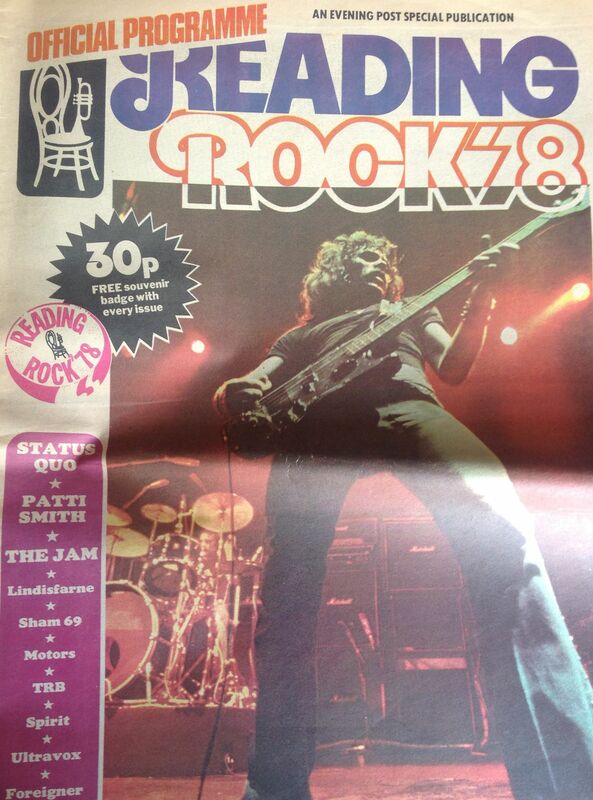 Support on the Spring 1981 tour came from Dedringer, a heavy rock band from Leeds. Although they never had any great success, Dedringer toured the UK quite a lot, supporting Gillan, Triumph and the Michael Schenker Group. 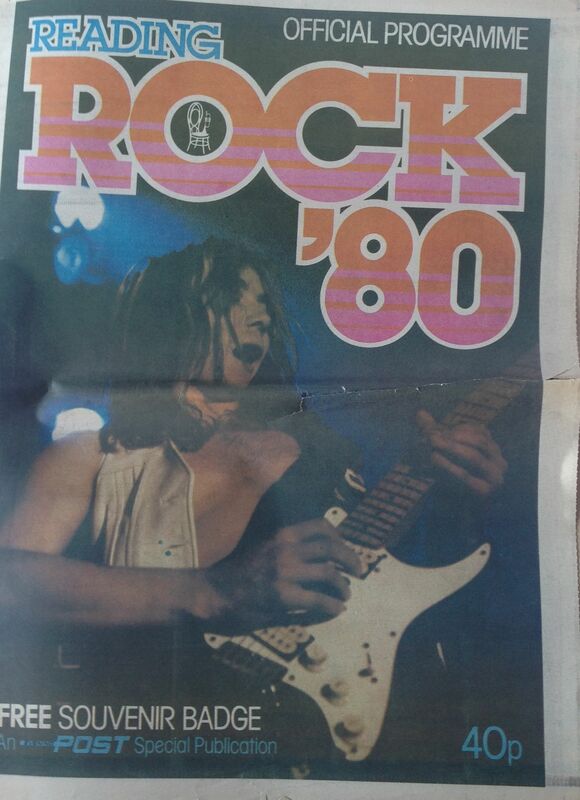 This was the last time that I saw Gillan with Bernie Torme in the ranks. Torme walked out of the band after a German tour, just as the band were due to return home and play on Top of the Pops. 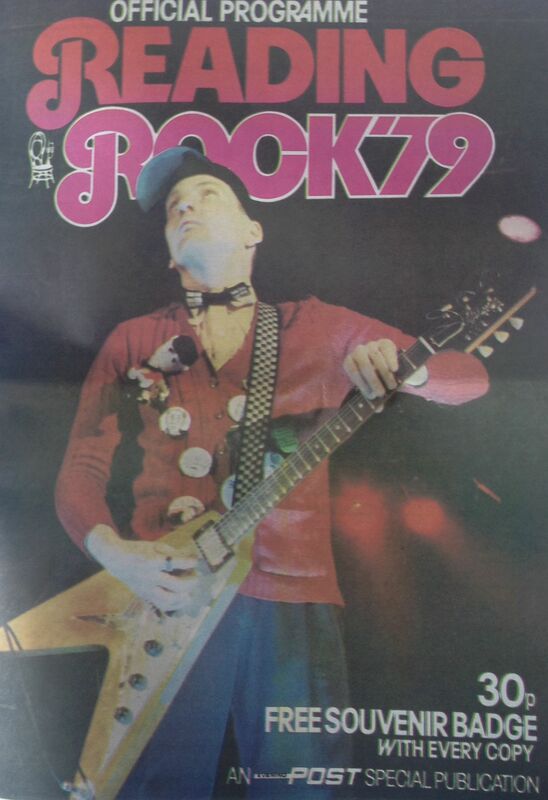 He was replaced by White Spirit guitarist Janick Gers. The band hardly stopped for breath, and didn’t let the change of guitarist slow them done, with 1981 proving to be their most prolific yet in terms of recording output and touring.